LED's have extremely low power consumption, using up to 90% less energy than incandescent bulbs and up to 50% less energy than CFL & florescent bulbs. Energy usage translates directly into significant cost savings, especially in commercial applications where large quantities of lamps are used. Lower energy usage makes LED lighting better for the environment, but it's a very green technology in other ways as well. LED lighting is also much safer for the environment because it is mercury-free and doesn't produce IR or UV rays, which can be harmful to humans. In other words, LED lamps are the greenest and most environmentally-friendly source of light on the market. Estimate desired brightness - read the package to choose desired brightness level. You can use wattage to compare bulb illumination, for example, a 9W LED is equivalent in output to a 45 W incandescent. However, the new method for comparing bulbs is lumens. Lumens is the measuse of perceived brightness, and the higher the lumens, the brighter the bulb. The FTC has mandated that by 2012 all light bulb packages display lumens as the primary measure for comparing bulbs. For more information about lumens, see LED Terminology further down this page. Choose between warm and cool light - new LED bulbs are available in 'cool' white light, which is ideal for task lighting, and 'warm' light commonly used for accent or small area lighting. Standard base or pin base - LEDs are available in several types of 'pin' sockets or the standard "screw' (Edison) bases for recessed or track lighting. Choose between standard and dimmable bulbs - some LED bulbs, such as the FEIT Electric bulbs, are now available as dimmable bulbs. Choose high quality bulbs or they will die prematurely - do not buy cheap bulbs from eBay or discounters. They are inexpensive because the bulbs use a low-quality chip which fails easily. Look for certifications - including FCC, Energy Star and UL. B22 and E27 are most like normal househould fittings. In selecting an energy saving lamp, there are a few factors to be considered including Brand, Power, Energy Efficiency, Durability, Appearance, etc.. Here are some hints on how you can make the choice. Energy saving lamp such as LED or CFL is getting popular because of the tremendous savings in energy and cost they offer. 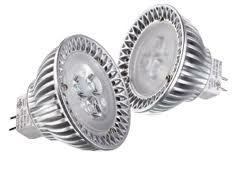 There are many brands on the market offering energy saving lamps, each offering different levels of quality. Since the manufacture of energy saving lamps requires sophisticated design, advanced technology and upscale equipment, a reputable and well-established brand that receives recognition from the industry offers more assurance on quality and safety. As energy saving lamps consume 80% less energy compared with traditional light bulbs, you can choose a lower wattage energy saving lamp to replace your incandescent bulb, halogen reflector or metal halide lamp with reference to the "Wattage Conversion Table" below. Many countries and regions, such as EU and Hong Kong, have adopted energy efficiency policies and introduced the mandatory or voluntary Energy Efficiency Label scheme to provide information on energy consumption and efficiency to help consumers make better purchasing decisions. The energy efficiency of the appliance is rated in terms of a set of energy efficiency classes on the label. For example, Enforced by the EU directive, Grade A is the most energy efficient while Grade G represents the least efficient. The labels also provide other useful information to the customers for comparison with various models. energy saving lamps that are also equipped with capabilities such as dimming, sensors, afterglow features, etc., providing a quality total lighting solution to consumers. The world is facing a lot of problems such as global warming, greenhouse effect, pollutions, energy depletion, etc., which do not only endanger ourselves, but the future of our posterity. While "Going Green" is the trend, it is everyone's responsibility to take immediate action to protect the environment. Some brands of energy saving lamps pay more effort in environmental protection and strictly control the use of hazardous materials including lead and mercury in their manufacturing process. Moreover, those using recycling materials for product and packaging reduce solid waste. This retro fit unit has CREE led chips providing a 45degree light beam providing a generous amount of light. 230V AC , GU10 fitting. These LED down lights will provide approximately the same amount of light as a 50W halogen down light. They consume less power, running cooler and lasting longer. Cree USA LED down lights are the perfect retrofitting choice. They are available in GU10 fitting (220V AC) and MR16 (12 V DC), white and warm white. the efficient running of these LED ceiling lights and helps to extend their lifespan. They produce over 450 lumens, giving 50 000 hours of use. This is an extremely efficient white ceiling light, suitable for the home, offices and showrooms. It is 132mm in diameter and is available in a silver anodised aluminium fitting that can be tilted. This LED ceiling light produces 830 lumens, with a 50 000-hour lifespan – it can last for up to 10 years. Available in white and warm white, best suited to chandelier where a large number of bulbs are required, as the 3 watt candle bulb could be too bright. E14 fitting. These retrofit down light LED bulbs replace your incandescent bulbs – using less than a tenth of the energy Traditionally required. They produce a white light that is perfect for your home. Their energy saving qualities will not only save on electricity costs; they give you greatly extended lifespan. These LED light bulbs can last up to 50 000 hours – approximately 13 years using them 8 hours per day.